Today’s children are rarely satisfied with using only the library’s print materials and online databases. With the increasing sophistication of digital technologies, even young students can bypass the local librarian to search for resources, tools and information online through common search engines. Such freedom carries with it great responsibility. School librarians have always embraced the responsibility for teaching information literacy — critical skills for locating, evaluating and using information — but children also need to know the literacy of digital citizenship — how to conduct themselves safely and responsibly in the digital world. Because school librarians serve all schoolchildren, overseeing the progression of digital citizenship lessons across the grade levels seems a natural role for them. Librarians do not need to take sole responsibility for digital citizenship. Instead, they can coordinate with classroom teachers so that the full array of citizenship skills is covered over students’ educational careers. With guidance from you, parents can partner with schools to teach and reinforce digital citizenship skills. Make parent-targeted resources available through the library website, the school newsletter, an information table or a digital citizenship event. Highlight the lessons being taught at each grade level. If students make posters, cartoons or slogans about online behavior, consider displays of the products on the website or in newsletters. Parents will often find videos more engaging and efficient than text. Dr. Devorah Heitner researches digital media use by ten- to twelve-year-olds and has two videos that blend reassurance with parenting tips. The third video below is provided by the Federal Trade Commission (FTC). In “The Challenges of Raising a Digital Native,” a 13:26-minute TEDx talk, Dr. Heitner reveals what students identify as problems with smart devices and their proposed solutions. The “3 Tips to Raising Digital Natives” video blog post combines a 5:42-minute video conversation between Dr. Heitner and host Josh Ochs with succinct text that reinforces the three tips: Ask your child before you share their image, teach your children to be real-life friends and create unplugged zones in your house. “Net Cetera: Chatting with Kids About Being Online” from the FTC outlines the pros and cons of digital devices and encourages conversations about online behaviors. The booklet mentioned in the video can be ordered in English and Spanish for free. Parents also need access to more cautionary information about Internet etiquette and safety. Internet Safety Toolkit has four pages of online safety tips for parents (“The Basics,” “The Content They See,” “The Content They Make” and “For How They Interact”) sorted into four age groups: preschoolers, school-age kids, tweens and teens. “Keeping Kids Safe Online,” an article from Scholastic’s Parents section, addresses the rewards and risks of social networking and web surfing. Guest speaker: Invite a professional speaker on Internet safety for a parent association meeting. Some speakers will tailor their presentations to different age groups and may be able to talk to students during a school assembly and to parents in the late afternoon or evening. Tap into local and state police, state government departments and Internet safety organizations (see Additional Resources below for ideas). Primary students should learn basic online safety and courtesy, much in the same way they learn proper classroom behaviors. Intermediate students should acquire more nuanced understandings of security, privacy, safety, relationships and communication. Digital citizenship curricula can help staff address responsible online behavior with consistent language across grade levels. Free digital citizenship curricula are offered by Common Sense Media for K–12 and Connect[ED] for grades 4–6. Even though some youngsters will be familiar with using computers before they enter kindergarten, educators cannot assume they have been taught digital citizenship skills. One approach to setting expectations for online behavior is through videos. Preview the following video resources to choose videos for each grade level. Although the number of behavior rules differs among the videos, the basic expectations are the same. At Utah’s NetSafe Videos for Kids, videos are sorted by grade levels and available in eleven languages. There are four videos for grades K–3, each about two minutes long, about the Internet, personal information, online kindness and keeping adults informed. “Internet Safety for Kids K–3” was designed by Indiana University of Pennsylvania to introduce primary students to safe behavior on the Internet. Rules covered in the 7:50-minute video include: don’t give your username or password to others, don’t go to websites without adult permission and don’t type on websites without asking an adult. The video was used with kindergarten students and has first-graders as its main characters, so it is probably most appropriate for K–1 students. Posters: Ask students to generate their own set of online behavior rules. Working in teams, students can create posters to take back to their classrooms. If their teacher has not been involved in the lesson, posters serve as a bridge between the library and the classroom. Pictures of the posters could be used in the school’s newsletter. Card Sorts: Create open or closed card sorts using the cards available on the LibrarySparks website. Reproduce the cards on card stock and cut them apart. For young students, make the activity a whole-class exercise; students who read well may work in pairs or triplets. A closed sort might require students to identify safe versus unsafe information to tell online, or kind versus mean things people may write online. In an open sort, students working in groups sort the cards into categories they create based on their own criteria (such as rules, things to tell friends but not strangers, good versus bad behavior). Throughout the year, use the cards to reinforce safety and courtesy. Read one or two statements from the cards aloud each time you meet with students and ask: Is this good digital citizenship? Why or why not? Online Activity: The NetSmartzKids Interactive Adventure delivers a forty-five-minute self-guided adventure story that reviews online safety rules for five- to ten-year-olds. Students use self-selected nicknames to log in, and their progress is saved. Literacy Tie-in: Read Little Red Riding Hood aloud or retell the story. Lead a discussion on how the wolf tricked Little Red Riding Hood. Can children identify other stories where a character used a disguise to trick someone? (Examples include Sleeping Beauty and The Wolf in Sheep’s Clothing; an audio version of the latter is available at BBC.) Are disguises ever used for other reasons (superheroes, Halloween)? What makes a disguise harmful? Draw comparisons to online strangers who might trick someone and screen names that are intended to protect privacy. Intermediate students spend more time online than primary students do and often have more autonomy for online activities. Because students may not always be well supervised while online, students need to learn the difference between friends and online contacts, the dangers of posting photos in online spaces and ways to prevent and respond to cyberbullying. Short videos grab students’ attention and generally deliver one or two tightly focused ideas. Use them to initiate discussion, introduce activities, or prepare for interactive online modules on digital citizenship. Utah’s NetSafe Videos for Kids has five two- to three-minute videos for grades 4–6. These videos are available in eleven languages. The topics are handling cyberbullies, protecting personal information, being wary of online “friends,” talking to an adult and posting pictures online. “Jigsaw: For 8–10 Year Olds” is an excellent 8:33-minute British drama demonstrating the parallels between real-life safety and online safety. Use this as a parent resource as well. Faux Paw the Techno Cat videos from iKeepSafe are five- to nine-minute cartoons on four topics related to digital citizenship: the risks of downloading, the need to balance life and screen time, cyberbullying and the importance of staying safe online. Students enjoy interactive online activities and games for learning. Ask teachers to create class accounts so that you both can track students’ progress in the modules. In FBI Cyber Surf Islands, registered teachers get a unique URL for class management and a set of log-in codes to distribute to students for home or school use. Each grade level has six games and activities that cover a range of Internet safety topics. The site tracks students’ progress and grades a final exam automatically. Digital Passport, provided by Common Sense Media, has five sections that cover digital safety, respect and community. Each section is self-paced and takes about forty-five minutes, or less if teachers implement only the videos and games. Student progress is tracked, and students are scored for proficiency on each topic. The Carnegie Cyber Academy has a full safety curriculum with online games, lesson plans and printable pages. 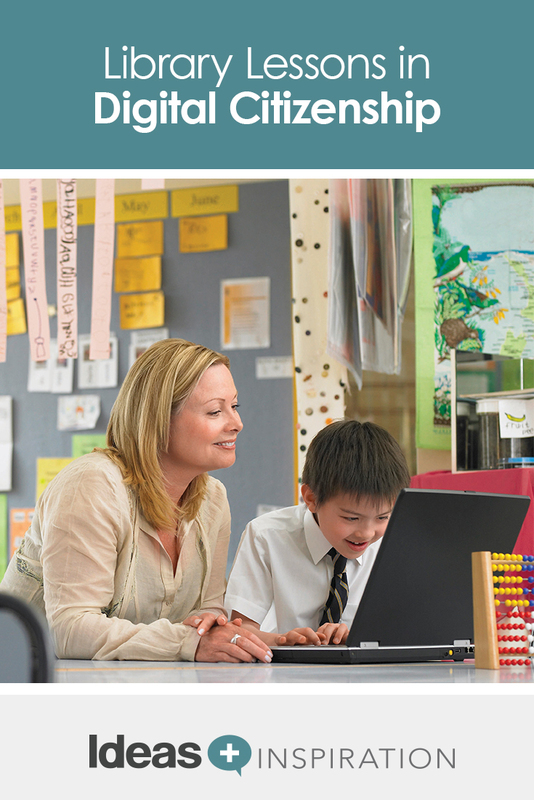 The teacher’s guide is detailed and offers ideas for combining online and offline activities. Slogans: Challenge student pairs to come up with slogans for digital citizenship. The slogans could apply a rule (“Think First” or “Ask an Adult”) or be general (“Digital Citizens Are Kind, Careful and Caring”). Have students design slogan banners for the classroom. Learning About Tone: Written texts are harder to interpret than spoken communications. To demonstrate for students, write a statement on the board, such as “I am not going to the party tonight.” Ask students how the writer felt. Then read the sentence aloud several times, using different inflections each time. This sentence could convey disappointment, anger, elation, stubbornness, mockery, distancing (i.e., emphasis on I) and even timing (emphasis on tonight). Discuss what made the written sentence harder to understand than the spoken sentences. If time permits, give each pair of students a sentence to interpret verbally in different ways. The Federal Trade Commission offers free digital citizenship publications. The following booklets can be previewed as PDF files. The booklet Heads Up: Stop. Think. Connect. focuses on socializing online safely and is available in both English and Spanish. Living Life Online is available only in English and targets eight- to fourteen-year-olds. 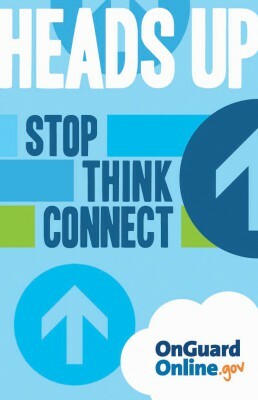 It covers the topics of online safety, critical thinking, advertising strategies and cell phone etiquette. Related videos are available on the Federal Trade Commission’s website as well. Digital citizenship literacy and information literacy might be considered cousins: both are critical literacies for elementary students to master, and both develop gradually over the elementary years. It’s natural, then, for librarians, who serve all students at all grade levels, to coordinate teaching of both literacies. With the available online and print resources, librarians can help students learn to be good citizens of the digital world — to act safely and responsibly and with courtesy and respect. Boni has teaching experience at all levels, from preschool through college undergraduate programs. She is currently ABD in a second doctoral program and should graduate in 2017. Her second book on K–12 technology integration, Integrating Technology: Digital Tools for Every Student, was released in June 2015. You can contact Boni at bonihamilton@gmail.com. This is one of the best sources of information yet for school librarians to use when teaching online safety. I am absolutely amazed at the wealth and scope of sources provided – particularly at the amount of items that are avaiable at no cost. Thank you for such a fantastic article and resource! Pam, Thank you so much for the compliments! We’re passionate about helping educators make a difference, and that’s why we partner with experts like Boni to give you quality information. Be sure to check back often on ideas.demco.com. You might also be interested in our Upstart Activity Guides at ideas.demco.com/trends-topics/reader-engagement/upstart-activity-guides/.